Birds’ Eye View of A Proposed Scheme for the University of British Columbia – Hooper, Victoria, B.C. 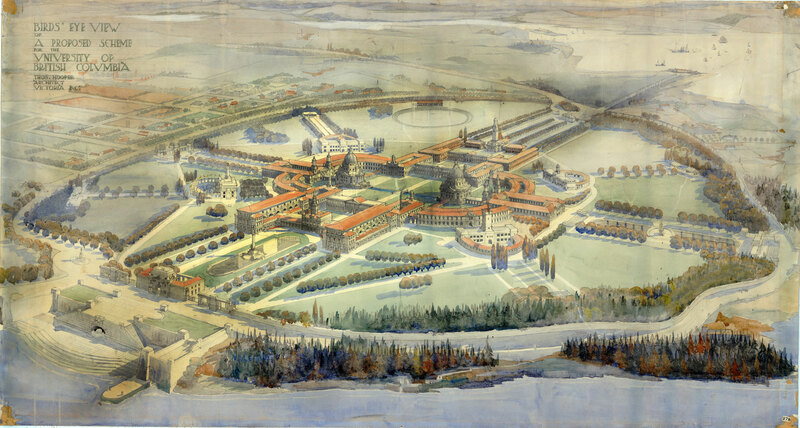 Hooper was one of the original bidders for the construction of the University of British Columbia, and while this European-style campus plan was never made a reality, the sketch, along with the rest of the original submissions, persist in the UBC Library Archives. From the Thomas Hooper fonds.